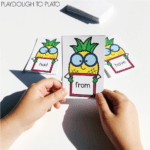 Looking for a motivating sight word activity for kids?! This is a must-try! 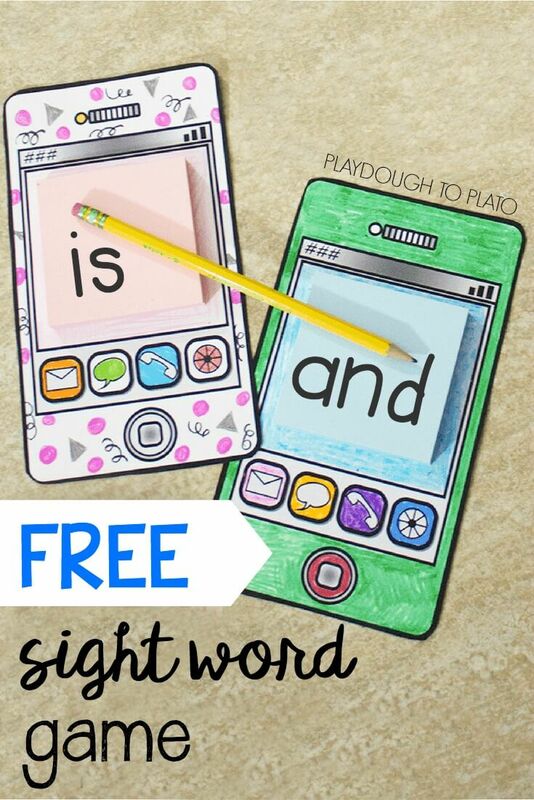 It’s a clever way to turn kids’ love of technology into a screen free activity that helps them practice any words under the sun – word families, sight word lists, names… even alphabet letters! My kids love screen time as much as the next kid. Cell phones, tablets, computers… They capture my boys’ attention so I knew this would be a hit. I involved my first grader in the prep for this project. I printed a copy of the cell phone page (below) on card stock. 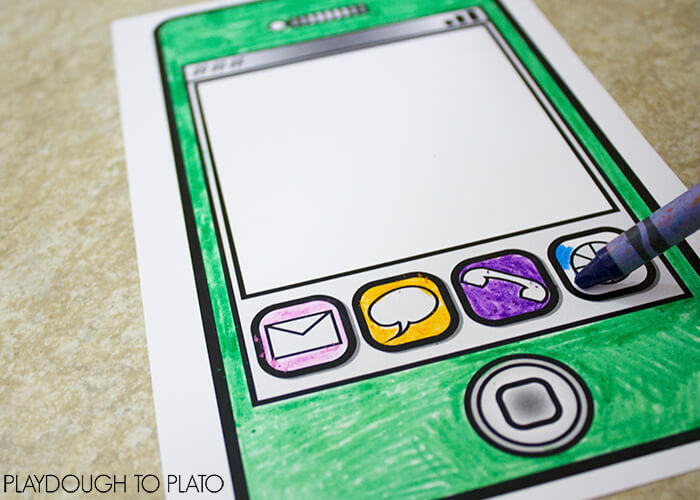 Then my son used colored pencils, crayons and markers to color and personalize his own cell phone. 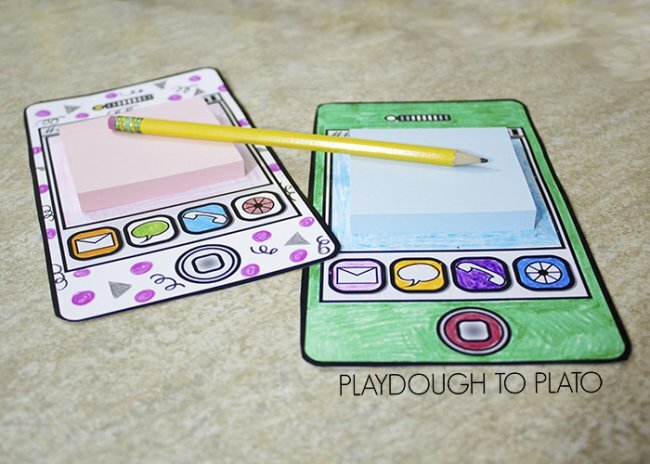 After he finished drawing, we cut out and laminated it. We peeled the backing off a 3 inch by 3 inch sticky note pad, and used a little double stick tape to attach it to the screen of the cell phone. Finally my son grabbed a pencil and his current sight word list and we were ready to play. 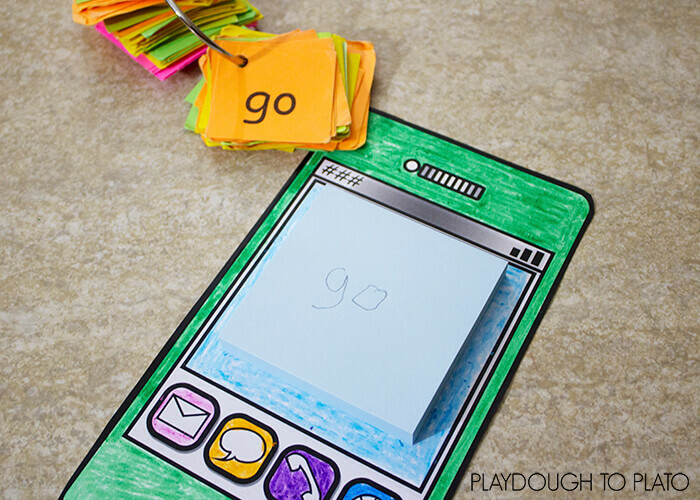 Initially, my son would simply choose a sight word from his list and copy it onto the sticky note phone screen. 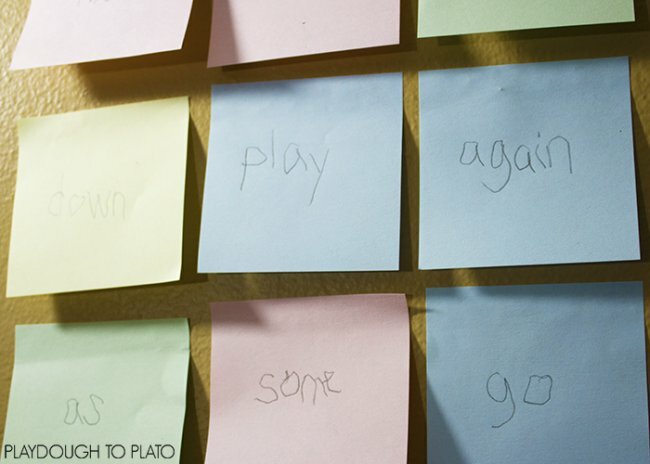 He peeled off each sticky note with a word on it, and created a temporary word wall. 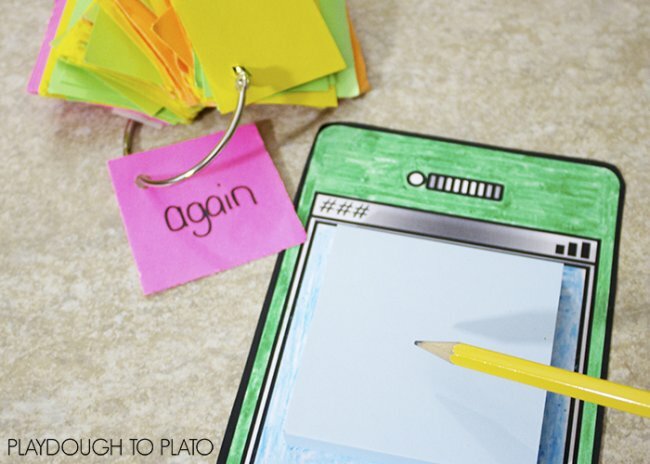 The sticky notes mean words can easily be rearranged or removed. Having the words on display is a matter of pride, as well as a low key visual reminder. When you see a word you know, you can’t help but read it to yourself. After working through the word list several times, my son became more familiar with them and our approach changed. Sometimes I spelled out words to him and as he wrote the letters down, he had to figure out the word I was spelling by sounding it out. Other times, we played ‘spelling bee’ style – I said a word out loud and he wrote it independently. 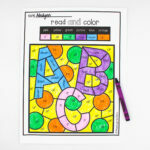 When my toddler is a bit older, I plan to adapt this to work with him on letter and number recognition, as well as fine motor skills. 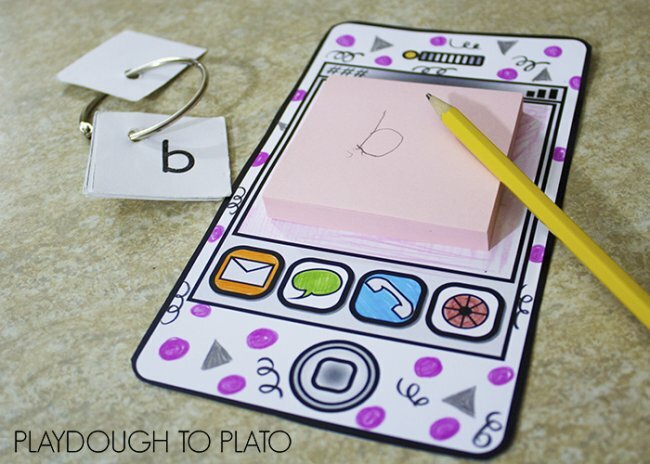 He can copy letters or numbers onto the cell phone note pad and later write them entirely independently. 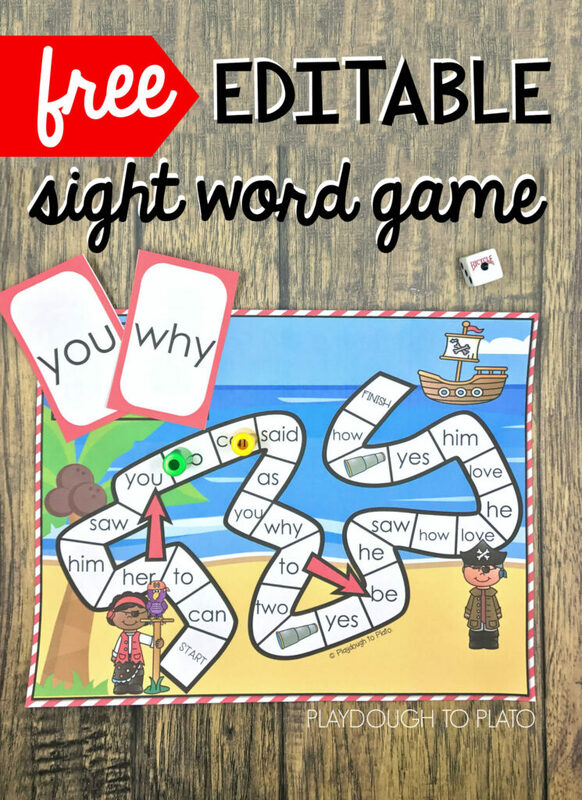 Click the blue download button below to grab your free cell phone sight word printable and then hop over and snag our editable Pirate Sight Word Game too. Kate is a former fashion designer turned semi-reluctant stay at home mom. She loves using her design background to help instill a lifelong love for literacy and learning in her sons. Follow along with Kate over on her website, Homebound but Hopeful. 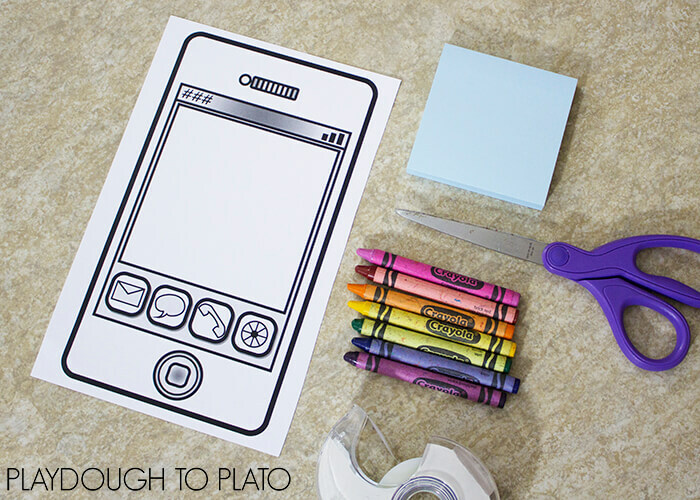 Playdough to Plato is my favorite blog. You are always so kind to share things free. Your ideas make learning and practice fun. I enjoy all your posts! Here is to many more hours of fun and inspiration! This is such a cute activity. 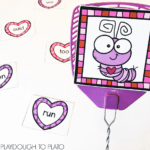 I have made these for my ELL kids and for my kindergarteners. Thank you for your wonderful ideas as well as your encouragement. You are a light! Hooray Heather! I am so glad that you found us! We are happy to have you as a part of our online family!